“Even as the Corona impeachment trial comes to a close Tuesday, May 29, controversy continues to hound the Chief Justice. He appears to have a penchant for using vehicles registered under the names of controversial personalities.” The first part of Rappler news report reads, referring to the late Supreme Court Chief Justice Renato Corona. “Between 2010 to 2011, a Newsbreak investigation found that plate number ZWK 111 was registered under the name of Wilfredo Keng, a Filipino-Chinese businessman dubbed by Forbes Magazine as one of the richest Filipinos in 2010.” Rappler added, apparently accusing Keng of lending his car to Corona during his impeachment trial. Based on the complaint, the respondents are Maria Ressa, Rappler CEO and editor-in-chief, directors/officers Manuel I. Ayala, Nico Jose Nolledo, Glenda M. Gloria, James C. Bitanga, Felicia Atienza, Dan Alber De Padua, Jose Maria G. Hofileña, and Reynaldo Santos, Jr, columnist. However, only Hofileña was present and submitted his counter-affidavit. “Unlike published materials on print, defamatory statements online, such as those contained in the libelous article written and published by subjects, is indubitably considered as a continuing crime until and unless the libelous article is actually removed or taken down.” Read the complaint signed by NBI Director Dante Gierran. “Otherwise, the same is a continuing violation of Section 4 (c) (4) of the Cybercrime Prevention Act of 2012,” Keng added, who filed the complaint in October last year. 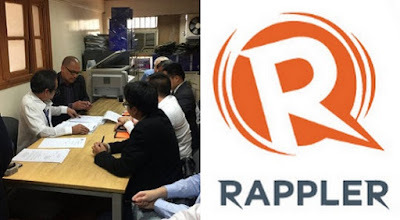 Early this month, the National Bureau of Investigation (NBI) filed a cyber libel case against Rappler before the DOJ. The said Rappler fake news has not yet been deleted as of now. Last month, Ressa urged the NBI to stop the investigation. They insisted they did not commit a crime because the Cybercrime Prevention Act was enacted in September 2012, four months after Rappler published the fake news. They cited Article 4 of the New Civil Code which prohibits the retroactive application of a law, unless the contrary is provided.